Saskatoon Fantastic Film Festival – Make Mine Criterion! Day 4 of the Saskatoon Fantastic Film Festival was loaded with screenings and bracketed by a pair of animated programs – the Saturday Morning All You Can Eat Cartoon Party and the web-series Crisis Jung (Baptiste Gaubert and Jérémie Hoarau, 2018). MMC! has already proclaimed the greatness of Crisis Jung and we’re loath to spoil Keir-La Janisse’s program of Saturday morning content given that it continues to tour festivals and cinematheques. Themes do tend to run through the Cartoon Party programs and “women’s lib” stood at the forefront with cartoon episodes on equal opportunity, commercials for the YWCA, and PSAs that addressed federal pay equity laws through iconic comic book figures. The Cartoon Party enjoyed a large audience that was quick to applaud for great content and progressive messages and to shout along with the enthusiastic narration of the cartoons. Expect to see another Cartoon and Cereal Party at SFFF 2019! ‘Stead of treated, the kids were getting tricked on Day 3 of the Saskatoon Fantastic Film Festival. Certainly the SFFF’s most celebrated film was Issa López’s festival darling Tigers Are Not Afraid (2017). MMC! has discussed López’s film on more than one of occasion, and so we’ll take its greatness as read and briefly discuss Jérémy Comte’s Fauve (2018), a Canadian short that feels tailor-made to open for Tigers. A Special Jury Prize-winner at this year’s Sundance Film Festival, Fauve concerns a pair of boys exploring a surface mine who “sink into a seemingly innocent power game with Mother Nature as the sole observer.” The short brings to mind Gus Van Sant’s Gerry (2002) and a very specific John Mulaney joke about an impression he had as a child, but these glib comparisons belie the truly heartbreaking nature of Comte’s film. Fans of Tigers would be well served to seek out Fauve. 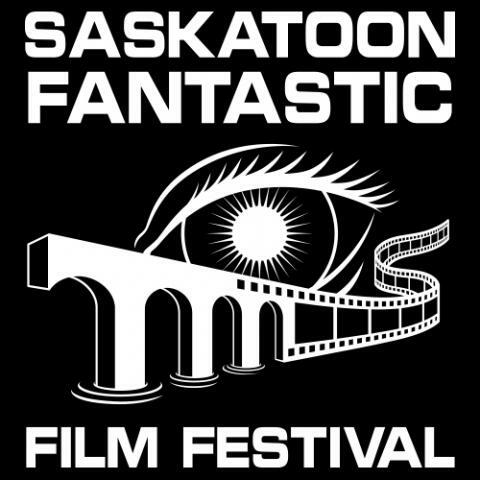 The Saskatoon Fantastic Film Festival has upgraded the apparatus with its 2018 edition. That means fewer midnight screenings in favour of an extra day of programming, a 3-hour cartoon and cereal party, a snazzy new booklet, new voting ballots, some clever bumpers running before the screenings, sponsorships and promotions from Vinegar Syndrome and Shudder, and even an after party with cast and crew of Supergrid. And with turnout for Day 1 looking robust, Festival Director John Allison and his team must be feeling positive about the prospects for this year. There’s always a desire to find a theme to a given day’s program but finding a common thread between Anna and the Apocalypse (John McPhail, 2018), Rock Steady Row (Trevor Stevens, 2018), Videodrome (David Cronenberg, 1983), and their supporting short films is something of a challenge. At best, it might be said that most of these films attend to breakdowns in community and some very unlikely ways to reassemble them. Action, Canada, Festival Reports, Film, Funny, Horror, Music, Shorts, UK, USA, Western1980s, 2010s, Anna and the Apocalypse, Astron-6, Canada, Chowboys: An American Folktale, Color, Comedies, Comedies That Bite, Dance Party, David Cronenberg, Dreamscapes, Great Soundtracks, Growing Pains, John McPhail, Kevin T. Landry, Musical Showstoppers, Night Crosser, Rock Steady Row, Saskatoon Fantastic Film Festival, Scary Movies, SFFF, Short and Sweet, Song and Dance, Special Effects, Supernatural Stories, Trevor Stevens, United Kingdom, United States, Vampires!, Videodrome, Westerns, Widescreen, Zombies!